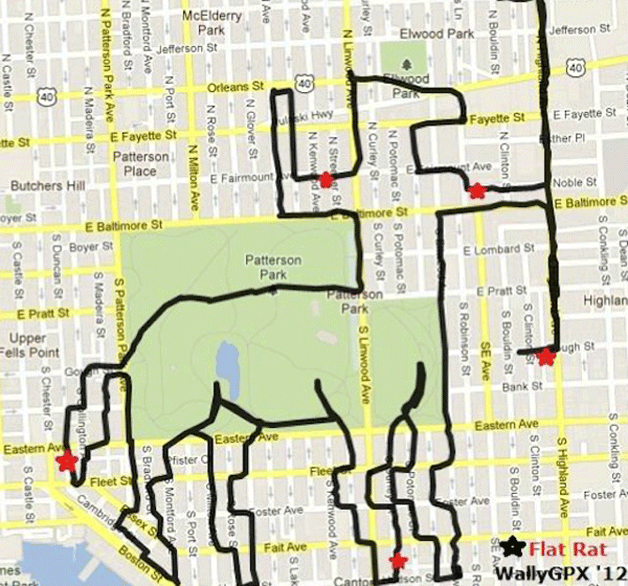 Christopher Wallace of Bolitmore in the States (not to be mistaken for The Notorious B.I.G aka Biggy Smalls born of the same name), has been cycling routes based on fun, quirky characters that he shapes using the city’s maps and existing roads and bike paths. 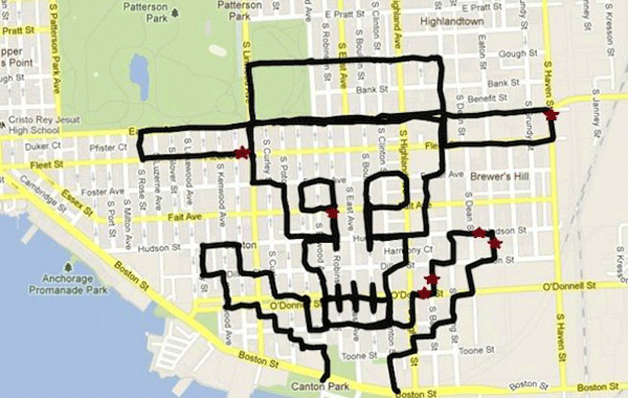 He predetermines the route and then sets out on his ride, tracking the pattern on his GPS unit. This is such a lovely way to make that weekend ride that much more interesting and fun. The best part is it would be so easy to do. 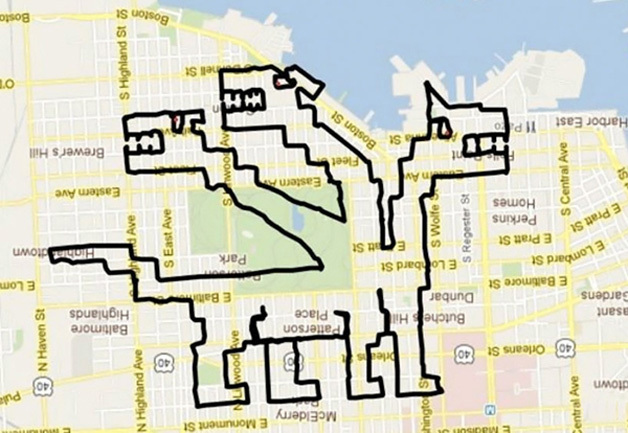 It’s really nice to see technology meeting creativity and exercise in a new and refreshing way. I wonder what other ways we could combine these three things to get more people enjoying physical activity? Why not get the creative juices flowing and try mapping out your own little character and ride it out this weekend!